PRIVATE individuals and civil society groups have started an initiative to clean Cebu and rid its bodies of water of waste, and will tap the private sector’s and local government units’ resources for the project. The “Protect Cebu” project involves providing toilets to households along riverbanks, compelling hotels, offices, schools and large business establishments to have waste water treatment facilities, and educating the public on waste segregation. “Protect Cebu” is the local version of the “Save Manila Bay” initiative of the Rotary clubs of Manila. It aims to address Cebu’s environmental problems, particularly the water pollution to ensure the province’s tourism industry. “Cebu is thriving on tourism, and if all of a sudden the human waste is there on our beaches, what will happen? River cleanups are already being done. What we have to address is the source of all these wastes,” honorary consul of Latvia and founder of the Network of Independent Tour Agencies Robert Joseph said. This initiative will be spearheaded by the Rotary Club of Metro Cebu in collaboration with the different government agencies. “What happened in Manila, we would like to see 1,000-plus Rotary clubs leading a program for the environment. What they will do today will be the model of the other provinces in the future,” Joseph said. He said the project will be for the entire Cebu province, where they will tap the Department of Environment and Natural Resources (DENR) to have strategic meetings and help them identify the project’s priority areas. DENR Regional Executive Director Gilbert Gonzales expressed his support for the project. “There is really a need for some action. DENR can only do so much, so all the other sectors must lend a helping hand,” he said. 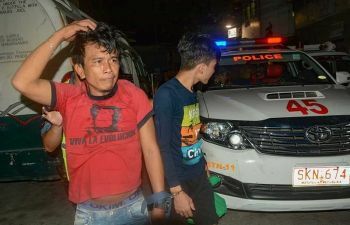 Joseph also asked the Department of the Interior and Local Government (DILG) to map a program on how they can reduce the number of and consequently transfer illegal settlers in waterways. “All of these informal settlers are there; we have to collaborate with every agency to support. I would like to see that there will be putting up of toilets for the underprivileged people,” he added. Likewise, the DILG representative for environmental matters Ginabelle Ijoc welcomed this suggestion. “Our regional director is always open to collaboration. Kinsa ma’y magtinabangay (Who else will help each other) but we, fellow people?” she said. According to Joseph, they intend to allocate around P5 million per beneficiary barangay for the project. “We would also like the DENR to advise us how much an STP (sewage treatment plant) costs. Plus there will be provided garbage bins to separate dry from wet wastes for compost,” he said. Joseph said the fund for this project will be sourced from both government and non-government benefactors. “It will be the local government who will initiate in also providing the funds. The DILG, DENR and DPWH (Department of Public Works and Highways), these are the government agencies that will come to help. We will also involve the Aboitiz Foundation. We can also request the Chinese government to take part in the project,” he said. 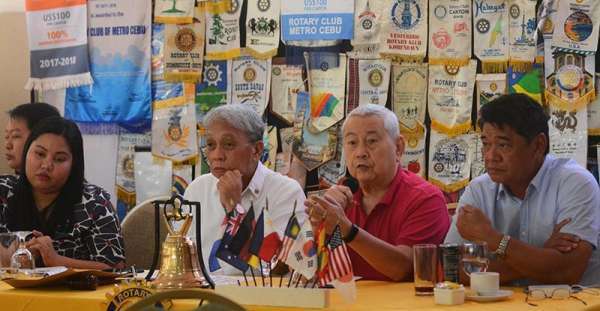 The Rotary Club of Metro Cebu will also coordinate with various corporations for funding. However, for the commercial establishments, he clarified that it will be the private entities who will shoulder the expenses for putting up their own wastewater facility. “They have to do it because there are laws by the DENR. If they will not do it, they will be suspended. But our approach is very friendly, bayanihan (cooperative endeavor). The heroes are all of us for the bayan (country),” he said.